Download available for media/promo use: Contact Zojak (media[at]zojakworldwide[dot]com) to request music. 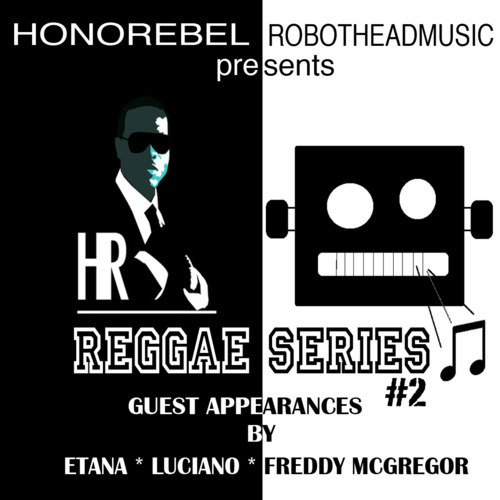 Info: Honorebel And RobotHead Presents Reggae Series #2, available May 1, 2012 through Zojak World Wide Distribution. The album consists of ten authentic reggae tracks which will take you on a unforgettable musical journey. The album features reggae giants such as Luciano, Freddie McGregor and Etana. The singles off the album are “My Girlfriend” and “Me Myself And I” which are currently available on iTunes. With the success of Honorebel Presents Reggae Series #1, we felt that it was only right to follow up with part 2. We are currently scheduling a promo tour with radio and T.V interviews and also doing radio drops request. Thank you for your time, Best regards, Team Honorebel.